Wayne Lodge #416 F. & A. M.
Please stop back often to get updates on the program and meals. BE THERE - TO BE ON THE SQUARE! Ask us about renting our building for your event. How can we help YOUR organization! 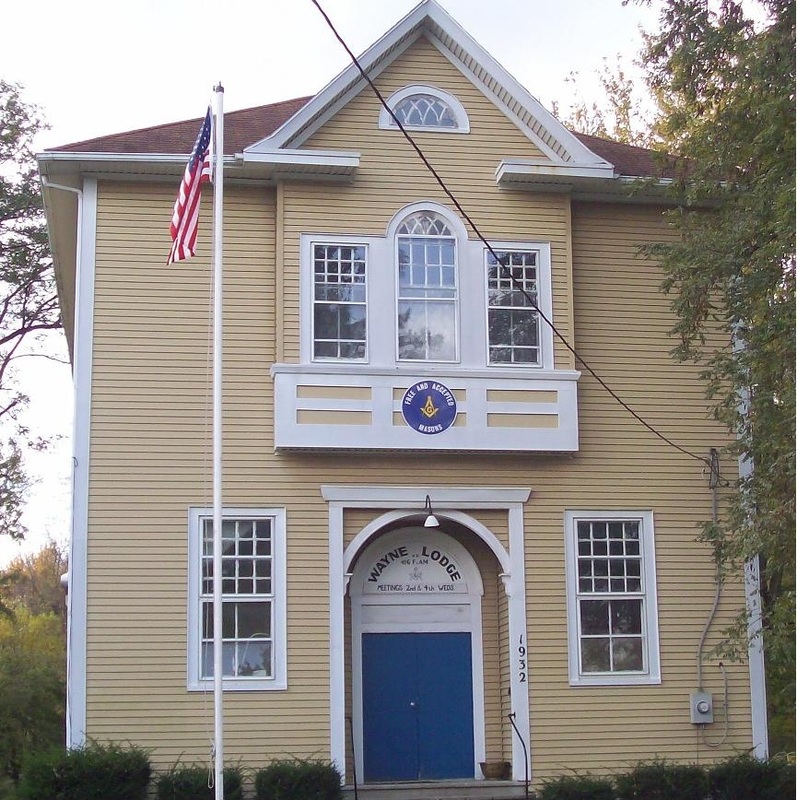 Welcome to the home of Freemasonary in Ontario NY! If you're interested in becoming a Mason, click on the 2B1ASK1 link here, or at the top of any page to send an email to the Master and other officers, to inquire about membership. Already a Mason? Visit the Lodge Trestleboard page to see if you're available to join us for a meeting. Additional information about our meetings is below. Check the Calendar page for information on the happenings at the Lodge and the in the District. The Lodge History page has a brief history of our lodge and its founders, as well as a list of Brethren from our Lodge that served in the Civil War, & World War I. Please let us know if you have any information about Brethren of Wayne Lodge that have served in any of the subsequent Wars (WWII, Korea, Vietnam, Iraq, etc.) we would like to add them to our list of honored members. Don't forget to sign our guest book before you go. We would like to know where you are joining us from! Lodge meetings begin at 7:30pm and usually last 60 to 90 minutes. Information about the meeting topics is available on the trestleboard webpage, and will be updated as needed. Requested Dress Code for Lodge meetings is suit & tie, or sportcoat and tie. If your not a member of Wayne Lodge, or a regular guest, it would be a good idea to clink on the Introduction link and send a brief introduction email to the Master, Secratery, and Senior Deacon so they know that you are coming. When you arrive at the Lodge, please have a current dues card from your jurisdiction so we know you are a Mason.